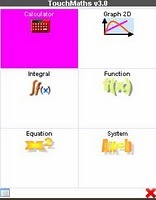 Few moths back we shared Ccalc , a free mobile software alternative for default Symbain calculator .Mobile maths is scientific mobile calculator like cCalc ,but with some more advanced calculation abilities and features .Mobile maths can perform normal basic algebraic calculation along with ,trigonometric ,matrix ,ratio , functions ,integration ,differentiation ,2D graph and many more .Mobile maths is a Java application so it will work with almost all mobile phones with Java support , A new touch version of mobile maths supports Nokia 5800 Xpress music and N97 models .Download mobile maths scientific calculator. Mobile maths scientific calculator . 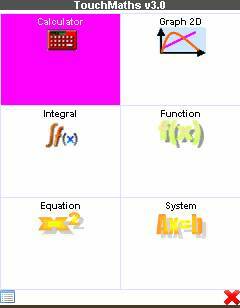 As you can see in above screenshot ,Mobile maths is one of the best scientific calculator for Symbain and Java mobile platforms . Almost all mathematical functions available in a normal calculator are available in mobile maths application . Mobile maths also features a periodic table for aiding chemistry and science students . 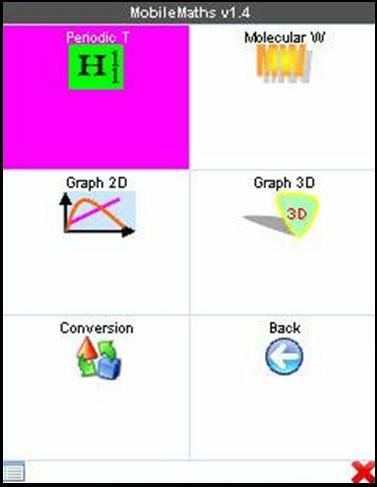 Download Download mobile maths calculator .